These aren’t just being used as bowls anymore. 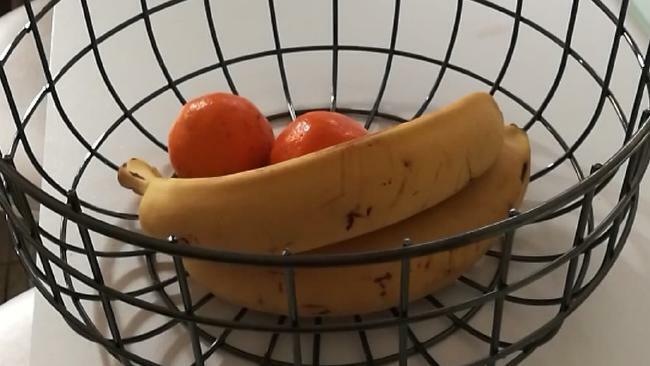 IT'S the $4 Kmart fruit bowl being used all over Australia as a light fitting - and the bright idea is saving creative types hundreds of dollars. 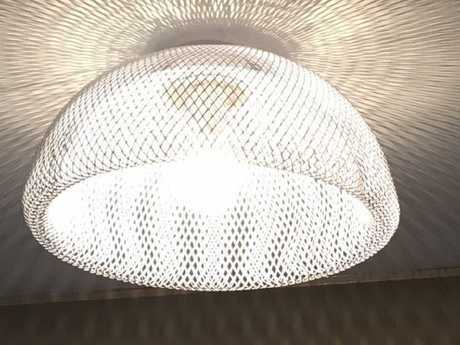 Mother-of-three Antonietta Bergamin came up with the idea for her Queensland home as the ceiling only allowed for light bulbs. She attached her $4 bowl, and the matt black, iron-look light rivals designer pendants that can fetch hundreds of dollars. "Just the globe looked unattractive, so I measured the circumference of the globe and looked for something that could be placed over the end of it, and simply screwed it back into the ceiling," the 43-year-old Cairns woman told news.com.au. Antonietta discovered the bowl would make a perfect light shade. 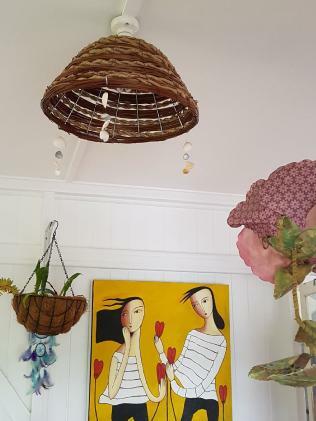 "The bowl only cost $4, If I had to get a completely new fitting for the ceiling that would have involved an electrician's cost and a light fitting - so in the vicinity of $200 or more." She also used the eye-catching bowl to create a matching lampshade - a feature of her home that she loves, and one that saved her more money. "Sharing hack ideas is great in the community because it helps visualise the idea for others to have a go and inspire," she said. 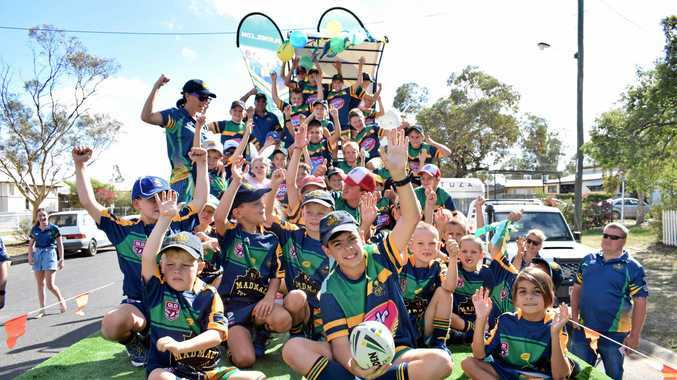 "It's a bit of fun and helps people to think outside the square. Antonietta has found different materials to make different light fittings through her home. "In the real world people may not be in a position to renovate as it comes at a cost - hacking can lift any room and there us so much out there to be creative with, while also being dollar-conscious." The trend is catching on too, with fruit-bowl-turned-light-shades popping up all over social media sites, as eager DIY-ers share their crafty creations. 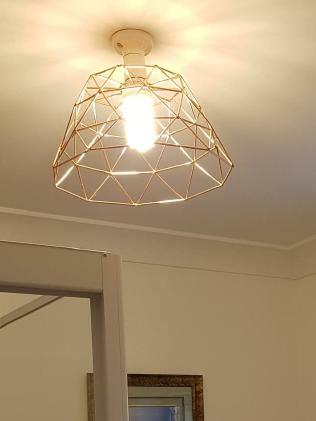 Toowoomba mother-of-five Kellee Knapp put two bowls together to make her light, inspired as she wandered through her local Kmart store. "I saw the fruit bowls and thought I wonder what they look like together," she said. 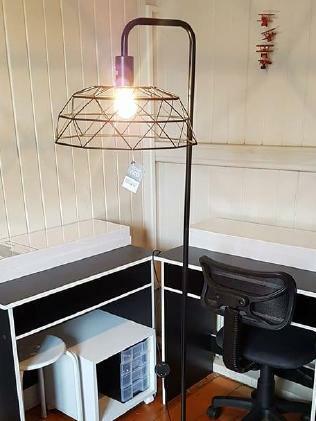 "I said to my husband it looks like a light shade, so that's what we made. "We put them together using little zip ties and then just hung up from our light - it definitely wasn't hard to make at all." 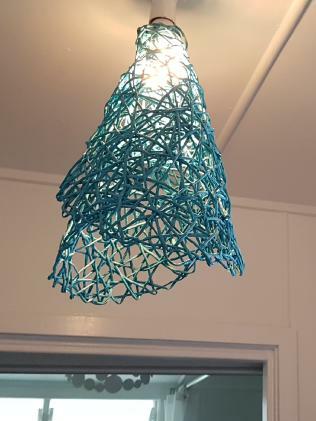 Toowoomba woman Kellee Knapp used zip ties to create this fitting with two Kmart bowls. 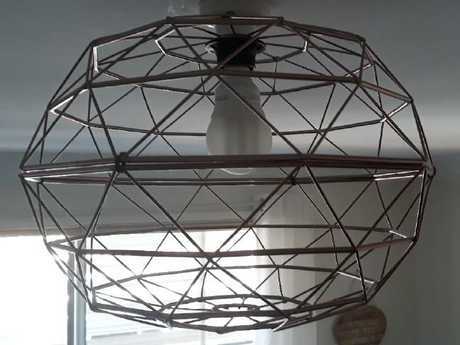 Victorian mother-of-three Jenni Rodrigues said she first saw the idea on social media, and used her fruit bowl to replicate a near identical light fitting being sold at Bunnings for $100. "I have also done others using the same and similar bowls from Kmart - it's amazing how many talented people out there are willing to share their ideas and knowledge of cheaper and smarter ways to use everyday items," she said. "There are so many smart hacks available using everyday items - it's endless. "From shoes racks as coffee stations to tea towels being made into awesome cushion covers and wall hangings." Jenni Rodrigues saw the idea on social media, and found different bowls create different effects in the room. She’s been inspired to find creative uses for other everyday objects. She’s made a lamp out of a similar bowl too. Rooms are co-ordinated with the light fitting.